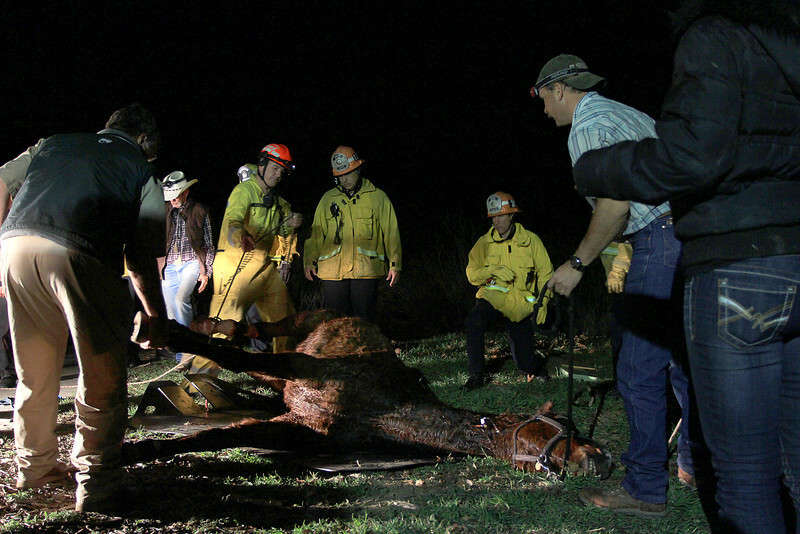 A horse is recovering well today after falling through a wooden bridge at the Placerita Nature Center Saturday, a fire official said. Shortly after 11 a.m. Saturday, a horse walking across a pedestrian bridge at the Placerita Nature Center fell causing three of its feet to go under the wood railing trapping the animal, said Inspector Bernard Peters of the Los AngelesCounty Fire Department. “The horse slipped through the bridge and it took time to sedate the horse,” he said. Firefighters called in a veterinarian who sedated the horse while they worked removing pieces of the bridge in order to free the animal, Peters said. “It was a three hour ordeal,” he said. “But, the horse is fine.” The horse suffered minor injuries to its lower legs, but did not appear to be serious. One of the witnesses watching the rescue said the injuries did not appear serious.